New Delhi, Oct 28 (IANS) External Affairs Minister Sushma Swaraj on Saturday again took to social media, this time to help Indians abroad who lost their passports. “Indian Embassy in Malaysia: This is an emergency case. 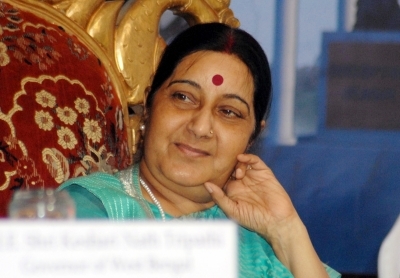 Pls open the Embassy and help the Indian family,” Sushma Swaraj tweeted. She was responding to a request by one Meera Ramesh Patel who said that her family members lost their passports at a Malaysian airport and the Indian Embassy was closed because of the weekend. In a separate tweet, Sushma Swaraj offered help to an Indian student who lost her passport in the US. “Anusha – I am asking @IndianEmbassyUS to help you,” the External Affairs Minister stated in response to a request by Anusha Dhulipala.